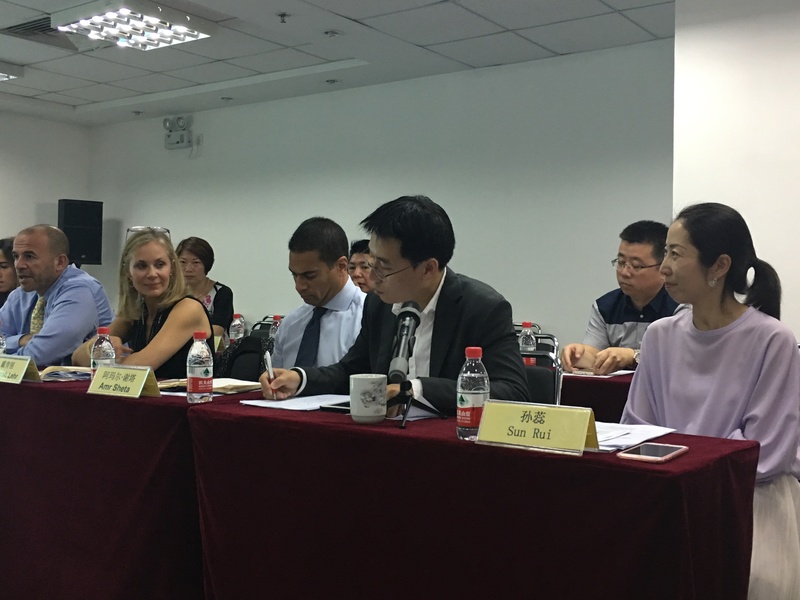 In cooperation with the China Europe Association for Trade and Economic Cooperation, Basilinna hosted the Investment Roundtable in Beijing on May 18 to highlight investment opportunities in Egypt. The event featured Basilinna's partner, Income, Egypt's premier consultancy and investment advisory firm, which presented the incentives for foreign investment as well as specific investment opportunities in Egypt, Africa and the broader Middle East. Led by former Mofcom Assistant Minister Xu Bingjin, about 20 of CEATEC's members from the auto, transportation, hi-tech, and logistics sectors participated in the half-day event. About relations with Egypt, Mr. Xu said, "As part of China's new "strategic relationship" with Egypt, we encourage our membership to explore investment opportunities. It is an excellent time for Chinese to invest in Egypt -- and there is tremendous interest from Chinese companies." The event was held just days after the conclusion of President Xi Jinping's first Belt and Road Forum attended by more than 1,500 people -- including 29 heads of state and more than 200 ministers. The President's signature policy initiative could amount to about a trillion dollars invested in the 64 Belt and Road countries along China's ancient Silk Road. Basilinna CEO, Deborah Lehr, concluded the event noting, "The political and economic situation in Egypt could not be better for Chinese companies to invest and we are pleased to see such interest from a broad range of Chinese companies. Basilinna-Income believe these investments will help to further strengthen China-Egypt relations, especially in the context of the One Belt One Road Initiative."